This third installment of the 2015 Virtual Curriculum series is all about Exploring Our World: Social Studies and and more science. Our plan for this school year has been the study of American History. 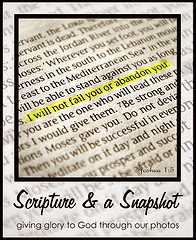 Some of the resources that we are using were reviews, and I'm linking those. Notgrass American History, Geography, and Literature Curriculum is the spine of our history studies. My 11th grader also has the Notgrass World History books which she uses for even more depth to her lessons. Her literature selections including books set in WWII by Bodie Thoene have helped increase her enjoyment of history. Linked here are some of our favorite geography books. Several years ago we incorporated Classical Conversations facts and history cards into our lessons, and they provided a good introduction to American history. Last summer we reviewed a series by Diana Waring which incorporates music with American history. Historic field trips like our recent one to New Orleans and earlier this year to Oakley Plantation also help bring history to life. Just one week ago we were blessed to attend a presentation by The Children of the World Choir and then volunteer at a day camp for them the next day. Kids from the Philippines, Uganda, Honduras, and Nepal made up their group. One of their counselors, also from Nepal, asked if I knew where it was. "The Himalayas" she stated with a grin..."Mt. Everest." I was reminded of the need for us to focus on world geography again. This year, instead, our 50 states have been discussed. 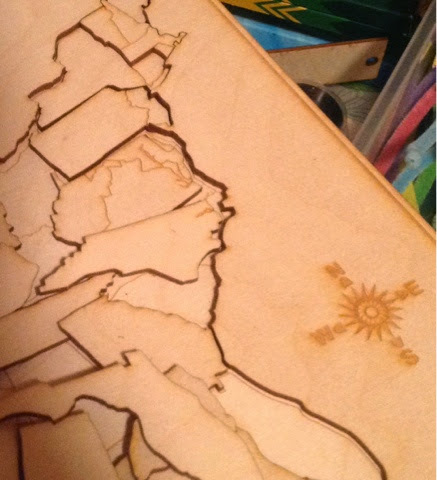 We are even working on a USA map in the Cuts By Laser shop. A few years ago I realized that learning the computer was something I needed to either invest time in myself or find another option for my kids. We have tried many different courses, and they are all more proficient than I was using a computer when I was in college, even my ten year old. We just started using these free computer courses for high school shared about by Easy Peasy Homeschool and these for elementary. Schoolhouseteachers.com has computer lessons, too, and we are incorporating them with the ones above. I actually had my fifth grader start at the first lessons for first grade as I wanted to work through all of it with him. He is progressing through the early levels quickly as he already has some basic knowledge. I hope this will further prepare them for tasks such as the graphic arts required to design projects for the laser cutter. Last year I shared "My ultimate goal is for them to be prepared to follow God's plan for their life, and I know that He will equip them for that." That is still true today. I pray that I am teaching them how to continue to learn and to apply themselves to whatever God has planned for their lives. 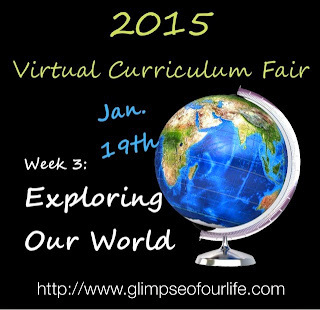 The Virtual Curriculum Fair is an annual month long blog fair for homeschool bloggers to share what works for us.